Cloud Frame is the next Generation of Digital Photo Frame. Based on the WiFi Frame, the Cloud Frame offers 5GB FREE CLOUD STORAGE, remote management, large internal memory and many other options not found on other products in the market. 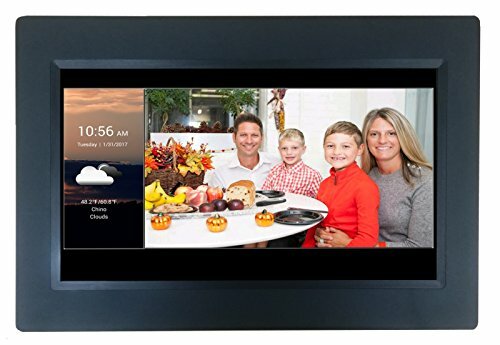 THE BEST PHOTO VIEWING EXPERIENCE - Coming with a 10.1" High Resolution screen, 8GB of internal memory, the ultimate APP selection and easy touchscreen operation makes the CPF1032 the #1 choice for anyone looking for the best way to display photos or watch videos in the home or office.